Definitions and discussion of ‘design thinking’ across the blogosphere and business press range from the evangelical to the critical and even terminal. It is tempting to think that more concrete stories that transparently attribute design thinking as the key ingredient of a successful innovation would render much of this copy unnecessary. In the mean time, and with apologies to Stephen R. Covey, here is a distillation of themes which could easily be the seven most defining characteristcs of highly effective design thinkers. See if you agree with my list. …a methodology that imbues the full spectrum of innovation activities with a human-centred design ethos — by this I mean that innovation is powered by a thorough understanding, through direct observation, of what people want and need in their lives and what they like or dislike about the way particular products are made, packaged, marketed, sold and supported. Direct observation demands a range of techniques from the kinds of observation and scenario-playing pioneered at Xerox ParcPlace to ‘living with the tribe’ as ethnographic researchers advocate. The design thinker must be a keen and acute observer, able to place themselves in the shoes of the people performing the tasks and using the tools at hand. This kind of observation balances impartiality and objective detachment with involved empathy, all the while seeing every detail and relating it to big-picture objectives and outcomes. …the design thinker must defend and negotiate the rightful and central place of the user experience amidst competing demands throughout the designing. Design has traditionally been treated as a downstream step in the product research and development process. Product designers (who have played no part in the innovation process to this point) are often engaged to put an appealing wrapper around a prototype intended to differentiate the product or target a particular market segment. Design thinking claims to unshackle the designer’s approaches, tools and sensibilities, releasing them into the wider realm of innovation and corporate strategy. Designing happens not at a point in time in the studio or behind a door labelled ‘R&D Department’ but in the full light of the business in all its situations, places and forms. … from discovering and negotiating business objectives, researching the lived experience of participants and stakeholders, envisioning and ideation, conception and scenario-playing, prototyping and development, through to product development and operations. 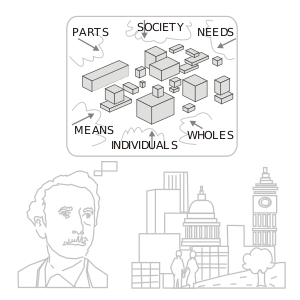 Design thinking, in common with other systems theoretic models (such as those of Peter Senge, Peter Checkland and Stafford Beer), claims to tackle large-scale ‘soft’ problems characterised by lack of structural clarity and complex interdependencies between the parts. These are problems that do not have regular or proven solutions, or even problems which cannot be clearly articulated, like reducing crime, delinquency, raising education levels, issues relating to an ageing society, or poverty in a particular context. ‘Systems thinking’ promotes taking an end-to-end view of systems in context and proposes a catalogue of generic system archetypes. As design thinking was gaining prominence in mid-2009, Management Professor Fred Collopy blogged on how design thinking should learn from systems thinking. Where systems thinking required an educated and even theoretical knowledge, design thinking does not require the same intellectual scaffolding and is made more accessible by being grounded in tools and approaches such as induction, empathy, problem framing and deconstruction. Both approaches must perceive and work within the constraints of holistic systems. In systems thinking, an intervention is considered successful if it results in an improved but ultimately stable system. Design thinkers must recognise the wider system in which their innovation exists, designing intervention or modifications where necessary so that their innovation creates or preserves the enclosing system’s viability and stability under normal and exceptional conditions. A stable system is one that is dynamic and can support change, growth and contraction. Just as Michael Hammer and James Champy advocated slaying the ‘sacred cows’ in the 1990s, design thinking advocates opening up problems, re-framing definitions and challenging assumptions. Business constraints and user expectations are constantly evolving. By questioning and challenging assumptions, valuable problem insights can be found that allow new, alternate or novel solutions. Techniques such as ideation, prototyping, iteration, incremental refinement, collaborative design, synthesis, user-centric design, full lifecycle design, and service design, all provide opportunities to uncover explicit and implicit assumptions. This mantra alone may well be one of design thinking’s most enduring legacies. The successful design thinker must look down the path of implementation to delivery and operation of the innovation, preparing the way in whatever ways can be foreseen and are possible at the time. From Le Corbusier to Frank Lloyd Wright, modern history is full of stories of heroic designers, typified by the creative genius who could single-handedly conceive a building uniquely responsive to the client’s brief and the site and revolutionary in its statement in the architectural discourse at the same time. These larger-than-life characters may still be celebrated in architecture but they are the antithesis of the design thinker. There is no doubt that design thinking requires advanced design aptitude and skills but the abilities to co-design and facilitate other’s designing are equally important as personal design ability. The design thinker must be capable of designing individually, jointly and collaboratively with others, facilitating the designing where it is most appropriate at the time, with the innovation project’s overall goals and objectives always in mind. Does this list cover the main characteristics of an effective design thinker? What would you add or change? Let us know in a comment. Tim Brown. Design Thinking. HBR, June 2008. 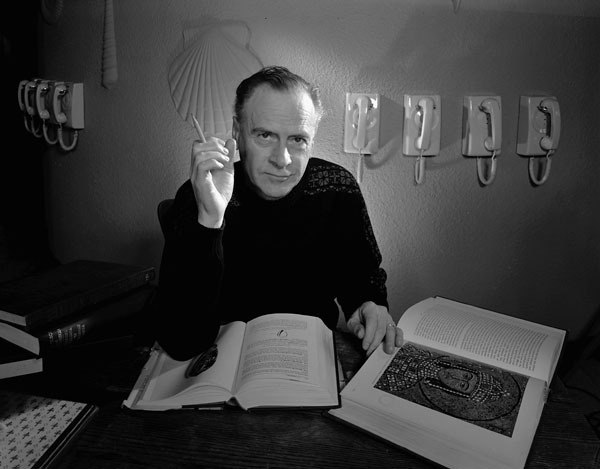 What would Marshall McLuhan make of twitter? If Marshal McLuhan, father figure of media theory, was alive today, what would he make of twitter? Would he consider it the ultimate reality-defining medium? Would he consider it a force for cultural enrichment or cultural impoverishment? Or would he grasp the opportunity to be a foci of cultural influence by joining the twitterati?